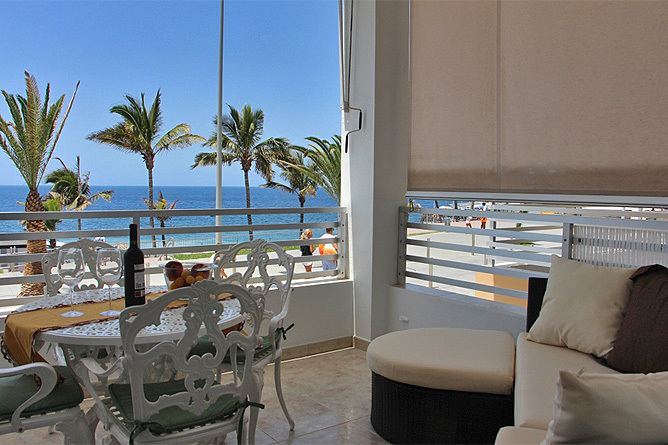 Apartamento Marítimo is situated directly at the Boulevard Paseo Marítimo, on the first line of the beach. 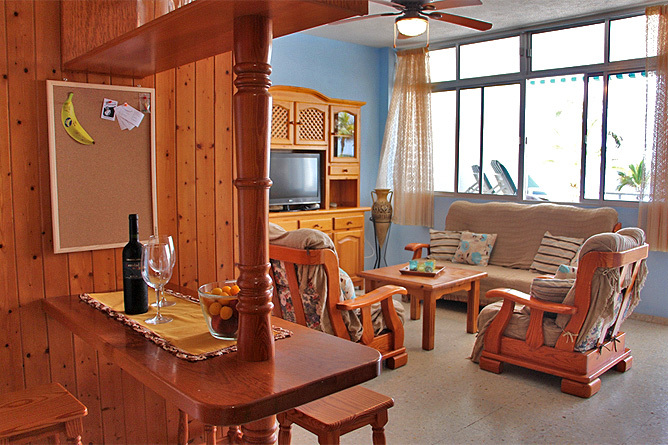 The 80m2 Holiday Apartment offers space for up to 4 persons and 1 baby. 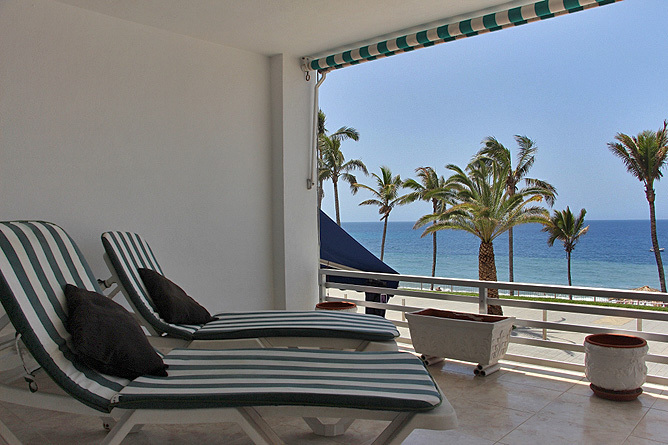 A great place to relax and enjoy the view is the spacious, covered balcony. 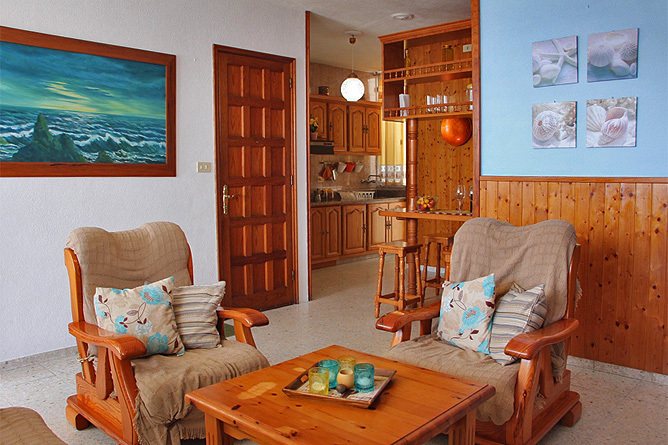 The Holiday Apartment is ideal for guests, who prefer a sunny beachfront location. 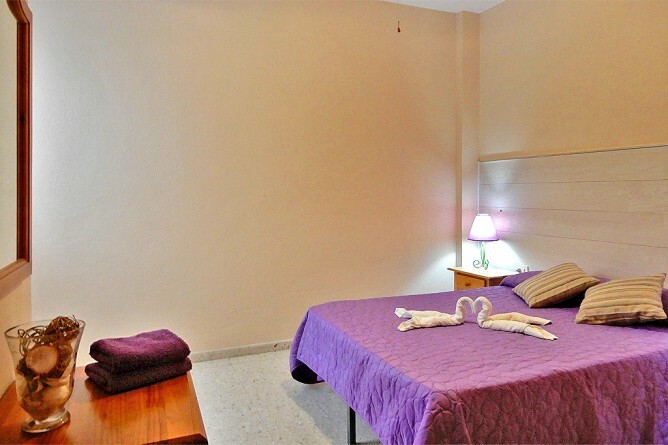 You do not necessarily need a rental car, restaurants and other facilities are within a short walking distance. 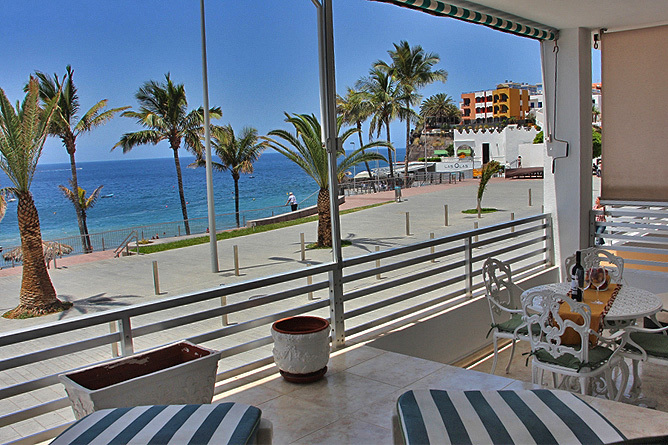 Apartamento Marítimo is located on the first floor of an apartment complex, right at the beach promenade. 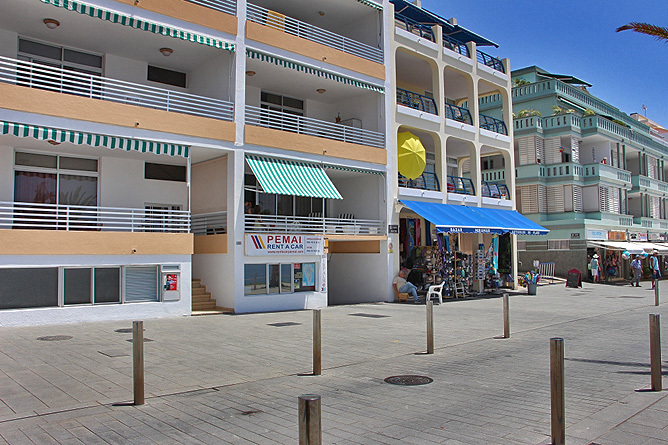 Right below on the ground floor there is a rental car office and a souvenir shop to the left. In the neighbourhouse is a bar, sometimes in the evening with live music this could be heard from the apartment and the terrace. 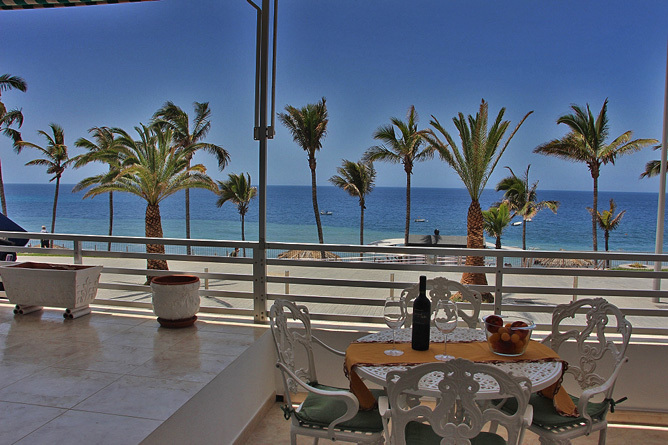 An absolute highlight of the Holiday Apartment is the 18m² covered balcony with view of the sea and the boulevard. 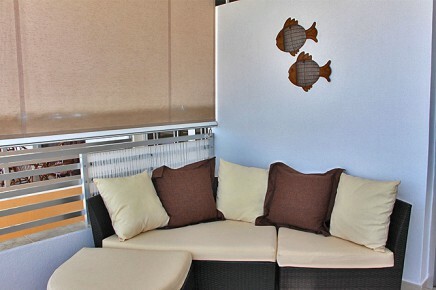 Two sun loungers, a table with 4 chairs and comfortable lounge furniture invite to linger and relax. 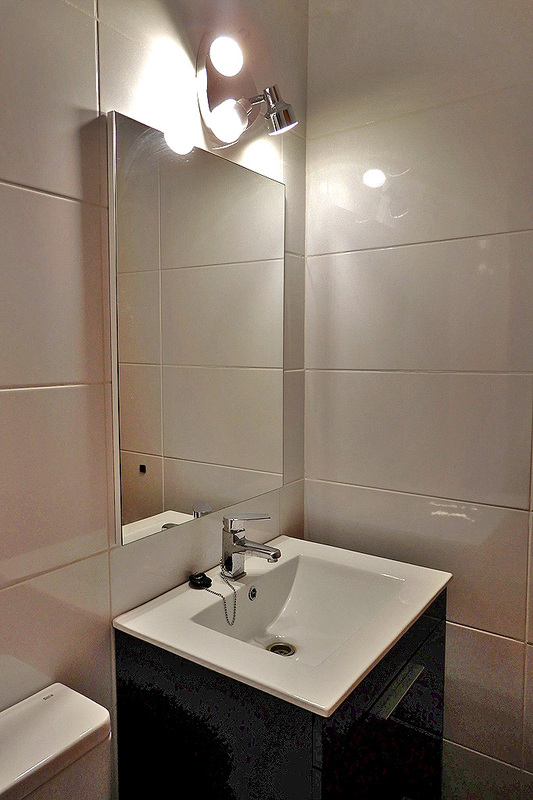 If you prefer more privacy you are welcome to completely pull out the sun blinds. 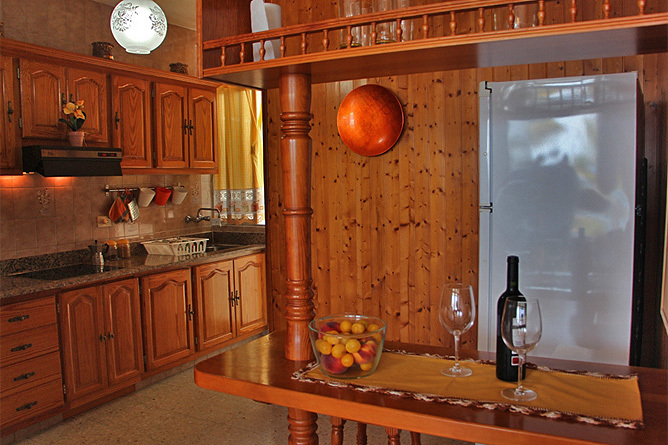 The combined living-dining room also forms the entrance area of the apartment. 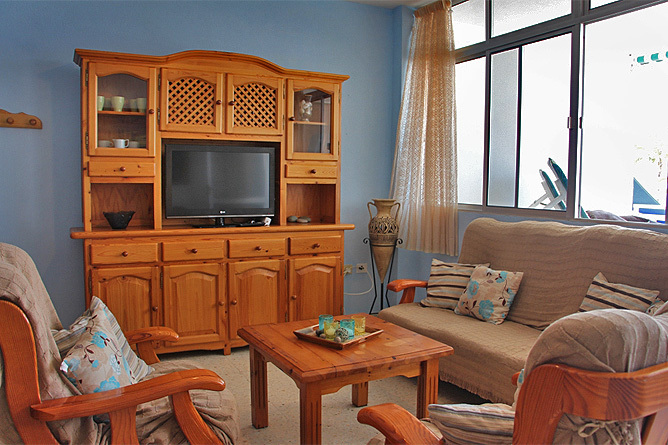 There are a sofa and two chairs directly in front of the window front facing the balcony. 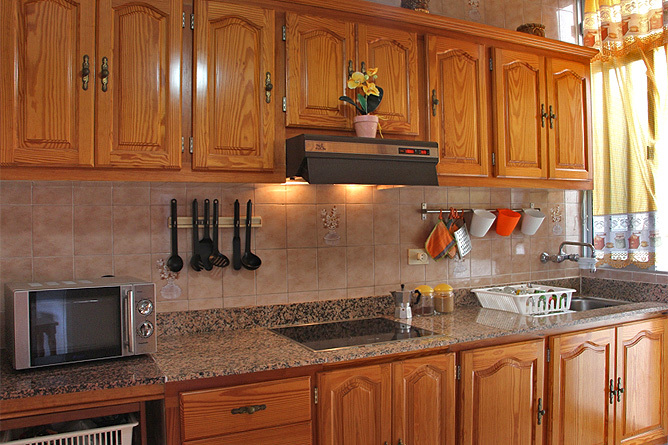 The well equipped kitchen is separated from the living area by a kitchen counter. 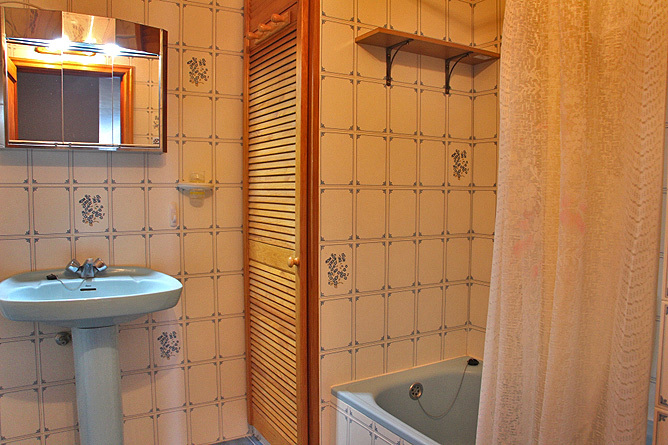 A long hallway leads to the 2 bedrooms and 2 bathrooms. 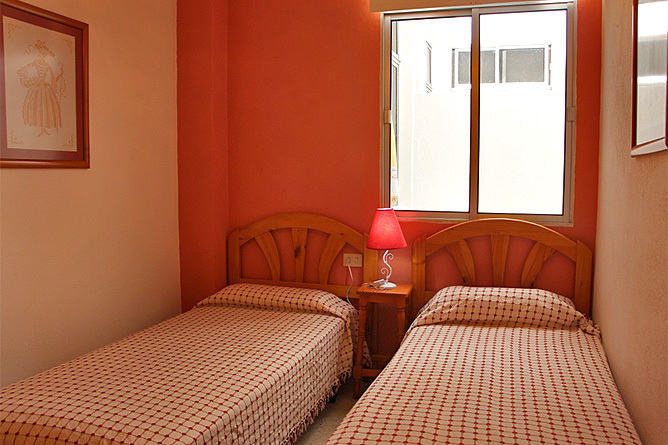 Both bedrooms are facing the patio. 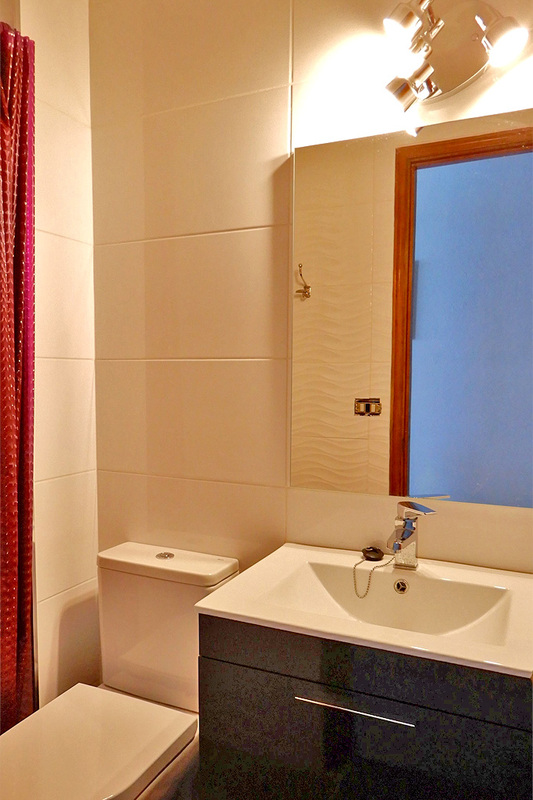 One bathroom has a shower and a toilet, the other, larger bathroom at the end of the hallway has a bath tub, a toilet, a bidet and a washbasin. 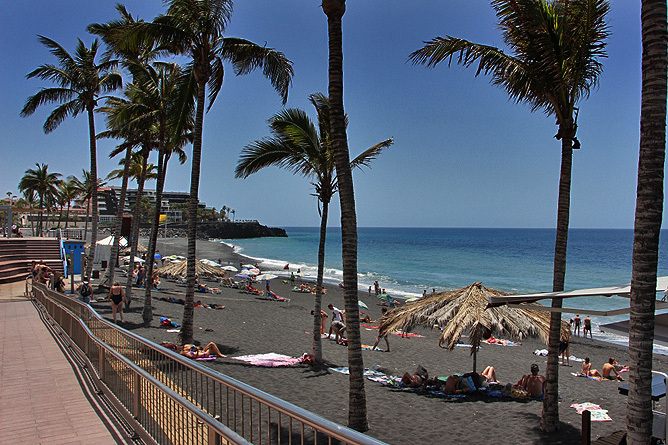 Apartamento Marítimo is situated in Puerto Naos, directly in front of the wide lava beach with palm trees, on the 1st floor of an apartment complex. 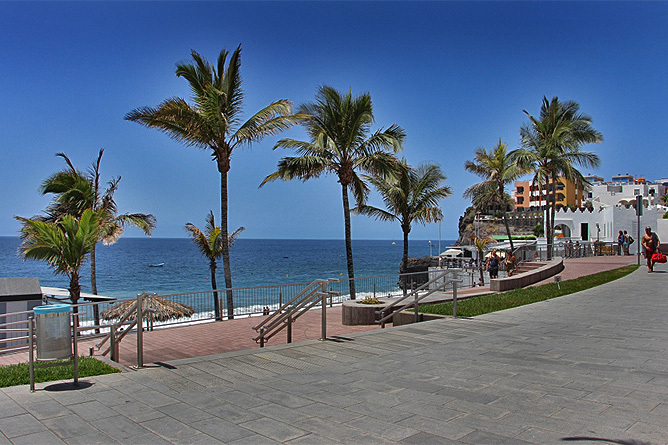 In Puerto Naos there are many restaurants and shops, Supermarkets as well as various options for sport activities, like hiking, biking, paragliding and diving. 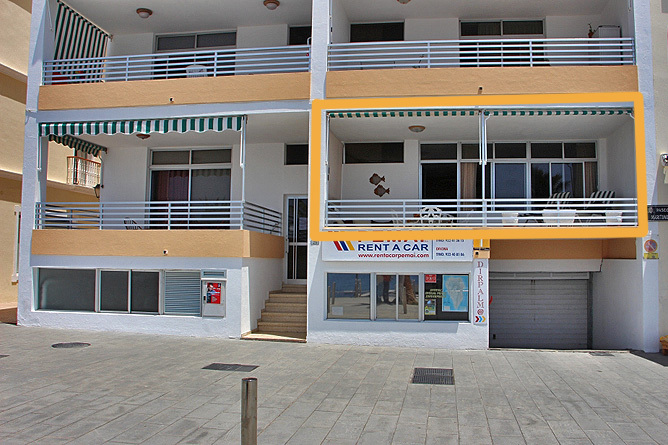 The bus stop is only a 5 minute's walk from the Holiday Apartment. 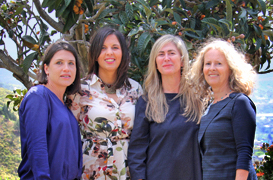 Busses to Los Llanos depart every half hour. 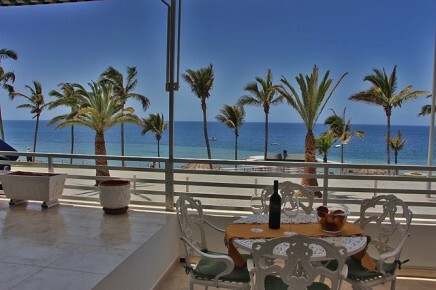 Holiday Apartment with spacious Balcony and direct Sea View.